Clicktodiscount.com > Instapage review – The most powerful landing page platform? Instapage helps you to personalize digital advertising easier by providing a powerful solution for quickly building, integrating, and optimizing landing pages. 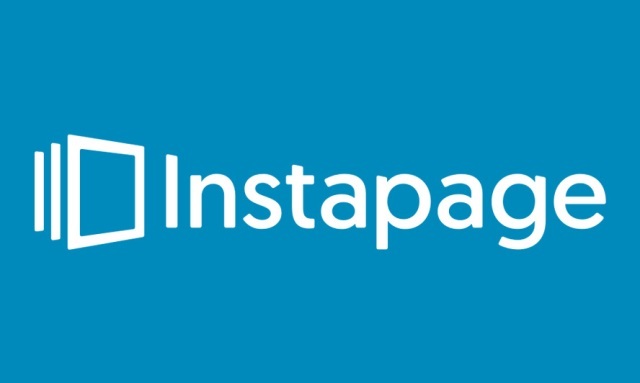 Let’s take a look at my Instapage review to see how this works and why it is so popular. Instapage allows you to own your post-click experience and maximize your conversion rates. It’s an effective landing page builder with a lot of helpful integrations and optimization features. With over a million landing pages at an average conversion rate of above 22%, Instapage is helping 15,000 customers across 100 countries capture more value from their campaigns. In my Instapage landing page review below, I will tell you exactly how Instapage works and help you find out if this is a good tool for you. Drag and drop page builder: It’s not grid-based like WordPress page builders. You’re able to drag and drop each factor exactly where you want it. Widgets: Widgets allow you to insert details like CTA buttons, countdown timers, and more. 200+ customizable templates: These will help if you don’t want to start from a blank list. Direct access to 33 million Bigstock images: You can easily insert professional stock images, though you have to purchase each image separately. Detailed form builder and asset delivery: This feature allows you to design all types of forms, including multi-step forms. Then, connect to a huge number of integrations. Instapage can even handle automatically delivering assets like lead magnets. Helpful analytics: Instapage provides you with Heatmaps, A/B testing, Google Tag Manager, and more. Collaboration tools: Instapage brands itself as a platform for “marketing teams & agencies”, which means there are a number of helpful tools for collaboration. For example, you can leave comments on specific parts of a landing page design draft. Instablocks: Save specific landing page sections to reuse across designs, or choose from Instapage’s pre-built sections. AMP Support: Design Google AMP landing pages using the same drag and drop interface. Detailed attribution data: Beyond analytics, Instapage can connect to Google AdWords and other services to integrate attribution data like AdWords campaigns or price data. Own Your Post-Click Experience: As the only landing page platform designed to work with Google, you can accommodate with Google Analytics and AdWords, then pass data to your marketing automation or CRM system so you can track everything you need. Build Personalized Landing Pages at Scale: Make your own awesome, on-brand, mobile-responsive landing pages from one of +200 templates, no developer needed. Speed Up Your Review Process: Spend less time in project administration tools, emails, and marked-up screenshots with the industry’s only real-time Collaboration Solution. Get feedback in minutes instead of days and get landing pages up in days instead of weeks. Accommodate with Your Marketing Stack: Instapage works with all CRM, email marketing, social and optimization tools you use everyday. Connect landing pages to your marketing stack in just a few clicks and sync data smoothly. Develop Your Pages for More Conversions: Truly powerful marketing teams build, enhance, and iterate on everything. Take advantage of easy A/B testing and mouse movement, clicks, and scroll depth heatmaps to gain insight into visitor performance and maximize conversion rates. Make Attribution Easy: You can easily connect your ad networks with drop-in pixel tracking, integrate your preferred analytics tool, and find all the metrics you need right in the Instapage platform. I hope after reading this Instapage review you can understand more clearly about Instapage features and make great use of it. Instapage provides you two packages to choose. If you are going to purchase Instapage, don’t forget to try these Instapage discount coupons to save addition money. Instapage offers a free 14 day trial to test out their service and requires no credit card to signup either, so you can try using it to see if it is a suitable tool for you. If you are still considering whether to use this tool or not, take a look at some advantages and disadvantages in this Instapage review. Reasonable level of support and additional documentation. Widget list is a little small. E.g. it would be helpful to have a dedicated pricing table widget. No A/B testing in the cheapest plan. I think Instapage is a powerful tool that is easy to use and accessible to beginners. You are free to design your pages the way you want and put things anywhere. Finally, the publishing options make it simple to use the landing pages that you create, no matter what type of website you’re running. The price of Instapage is a little expensive but it’s definitely worth your money. Because it is a high-powered, optimization-oriented landing page builder. Instapage offers a free 14 day trial to test out their service and requires no credit card to signup either, so you can try using it to see if it is a suitable tool for you. I hope my Instapage review can help you to make the right decision.